This web site is about our low-cost home built mostly using reused construction material and a bunch of ‘reduce’ ideas, and rules that our family uses to live a (relatively) low-carbon life. Our home was featured in the home interiors magazine, Livingetc. Click here to see the article. – Ideas that we used. – Sources for designs and reused building material. – Things you can do to reduce your energy consumption. – Things that you can do to reduce using chemicals harmful to the environment. – Explanations on common terms. You are welcome to add them as replies. I’ll pick out the good ones and add them to my list. wonderful. We r also planning to build one such house in our farm at Madanapalli (A.P. ).My daughter, Divya Ravindranath is taking advices from people for the same. Hi. We’ve met before, at an ESG event. Divya is an old friend. 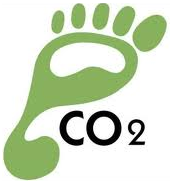 Its an very good attempt to share low carbon ideas through blogging. Even I am following Sustainable life styles, as an attempt towards Greener planet. I am from Pavagada so I know the advantage of this method. Saw the video. That makes sense, and I’ve been thinking of putting in a charcoal filer in my home’s rain water system too. I really want to have a look and want to feel it .. I amn’t from Bangalore but fortunately i am here for few days more & staying very near to sadashivnagar @IISc..Pleasse reply asap..
It”s really amazing & vert interesting… Hats off ur ideas & spirit to make Katada House. I can ask around and see if any Delhi-wallahs here know about sources. Where and how can one ge tin touch with you Sir? the electric energy is produced when the person pedals. im only 14 after all !!!!! Dhruva, thanks for the post. That’s a nice idea. The battery could be even charged when you apply the brakes – it’s called a regenerativce braking system. I’ve actually been seeing a few electric bicycles around, but I think they’re Chinese made. You could actually write to some Indian bicycle manufacturers like TI cycles and Hero, sugggest this. And don’t let the fact that you’re hold you back. A person with sense will listen to a good idea irrespective of who it comes from. Hi Das, Came across your name reading a story in Yourstory.com. Find that work you are doing is so inspirational. Would like to connect with you to request you to come and speak at our Rotary Club. We meet on Fridays at Diamond District, Old Airport Road. Name is Sunil Arora and I am on skarora1@gmail.com and phone is 9901966740. Keep spreading the good work! Please share your contact details. Need your advice on installing solar cells on the terrace of my house. I have got a proposal from a firm and I want you to advice me if the same makes sense. This is fantastic, very creative. Since I am embarking on constructing a house myself, meeting you will help me greatly. Could I meet you in person and also get a firsthand tour of your house, it would help me immensely. Can you please share your contact details ? I am planning on renovating my flat. Have emailed you my contact details. Just pounced on this blog while “Looking to make my home self sustainable” and man … whattt a work !! Would definately want to meet up and see things in person, only if its not a trouble. Please share your contact details. Sorry, read your comment just now – some malfunction in the blog’s comment area. My email ID is dasarathigv@gmail.com. Im planning on redoing my house, need some some inputs from you on the sourcing part. Can you share your contact details. Hi. Sorry, your comment got kind of lost and I read it just now. our green innitiative with our student members and their parents through an interactive session for the students. Pl share your contact details. Been looking for ideas to build a sustainable home, in a place, that chose us! Yours is like a dream come true for me! I am quite nutty too and my sojourns into the dark deep alleys of chor bazaar in Mumbai or in Ahmedabad have my folks smirk at me..nevertheless. Kudos to your vision and actioning it! Will love to get in touch for my own sustainable dream house with a square foot garden around, as I am a home gardener, all my food comes from what I grow. Farm to kitchen and viceversa. Thank you for treading lightly on this Planet!! Thanks for the nice words. I’ll email you my contact details. Will be glad to help with any ideas, and would love to get some gyan on the kitchen garden from you once I start one. I am Pratiksha, an amateur architect in bangalore.I went through the blog and found it very interesting. I am not sure if I missed portions of the blog that spoke of what the walls are made up of. I only understood that the house was built on an already existing foundation. May I know what the walls are made up of and if they are also environment-friendly? Wonderful ! Please let me know if I can be of any help in giving you ideas or sources. 1. Wood to make shelves in varied spaces to store varied materials, books papers? 3. Labour who can do this in a cost effective manner. I’ll email you some details and my contact info.